Da Gianni whips up home-cooked Italian goodness. 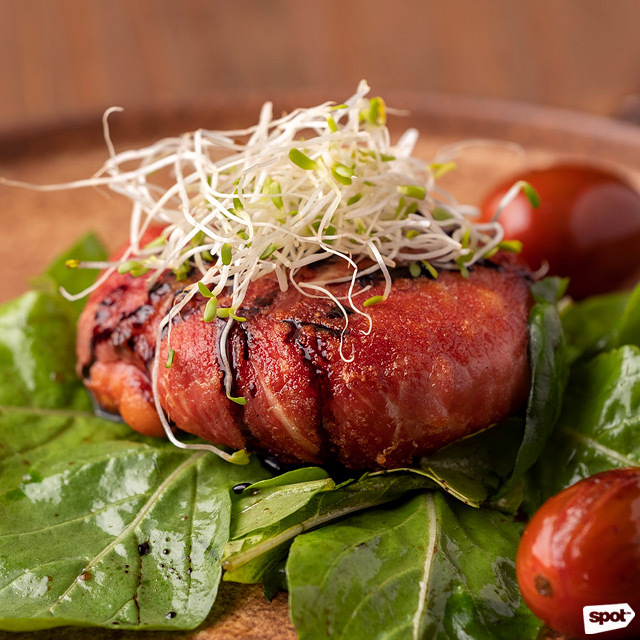 (SPOT.ph) Good Italian restaurants seem to always have a family-home vibe to them—perhaps it’s because Italians are big on sharing meals with large groups. 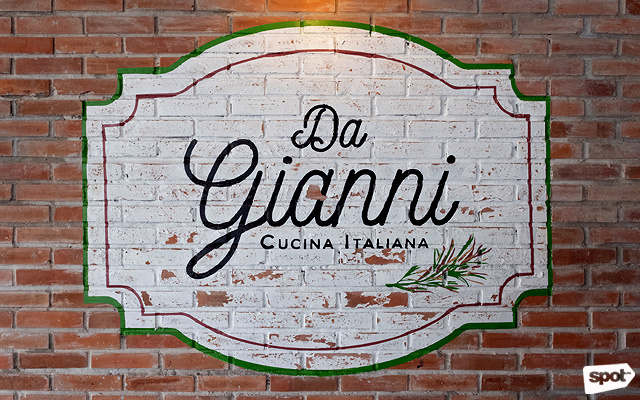 Da Gianni has that same aura; it helps that they have a prime location at Westgate Alabang, near the front to let lots of natural light into the homey, cozy restaurant. 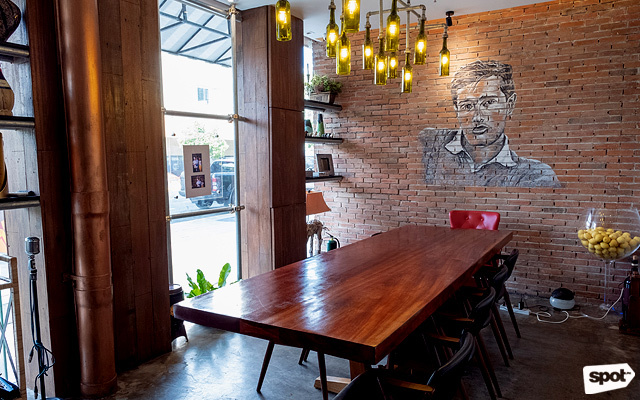 But the dream lives on with his children, headed by Gianluca Guidicelli, and grandchildren (among them, actor Matteo Guidicelli, who is also an active partner in the restaurant). 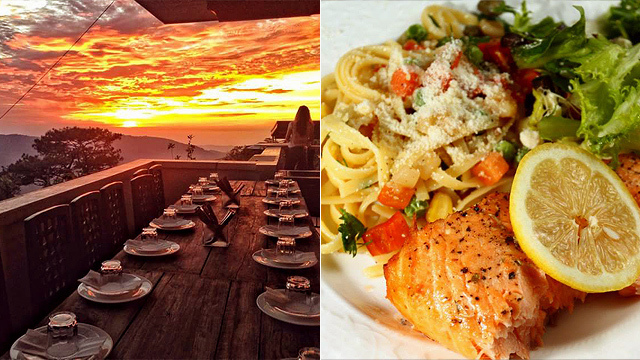 First, the family opened a trattoria or open-air Italian canteen in Cebu. Then, seeing how well-received it was in the city, they decided to bring a more upscale version of the restaurant to Alabang. The Formaggio Tomino has the flavor profile of a pizza, but lighter—salty, cheesy, and fresh. 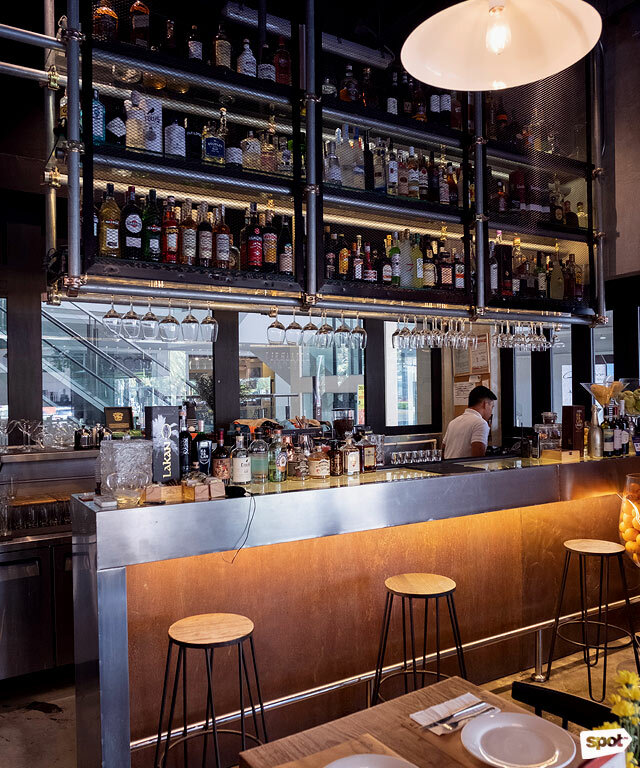 For a traditional Italian meal, it is best to start with the antipasti—Da Gianni has options you won’t easily find in most Italian restaurants. The Formaggio Tomino (P380) uses soft tomino cheese, which makes it perfect for grilling as it turns extremely gooey. It’s also mild enough to complement the stronger, sharper notes of the prosciutto it comes wrapped in. 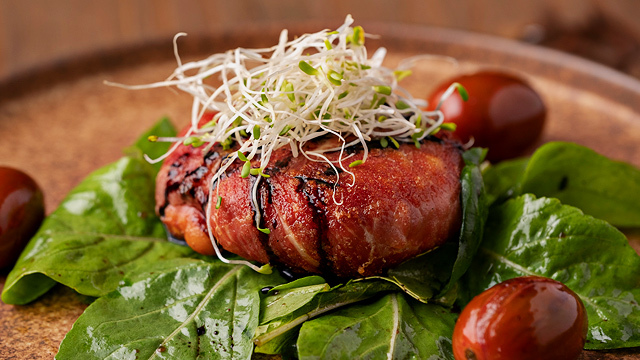 Add peppery arugula and juicy cherry tomatoes and you have a starter to excite your palate. 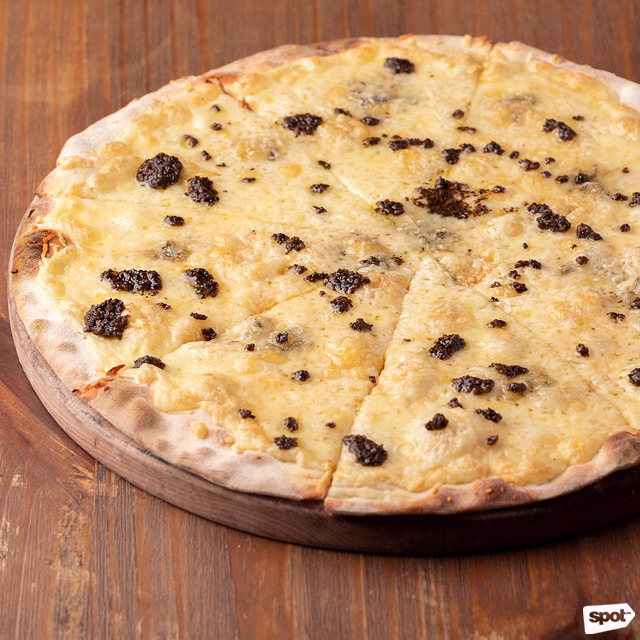 For an extra indulgent cheese pizza, have the Quattro Formaggi with dollops of truffle paste. Drop by Da Gianni on a busy lunch day—which, to be fair, is most days of the week—and you’re sure to find a Quattro Formaggi pizza (P520) at the center of each table. The flavorful blend of gorgonzola, pecorino, mozzarella, and provolone on a perfectly chewy-yet-sturdy crust is enough to make this a winner—but Da Gianni adds extremely generous dollops of truffle paste on each slice for that strong blast of rich, earthy flavor to make this extra indulgent. 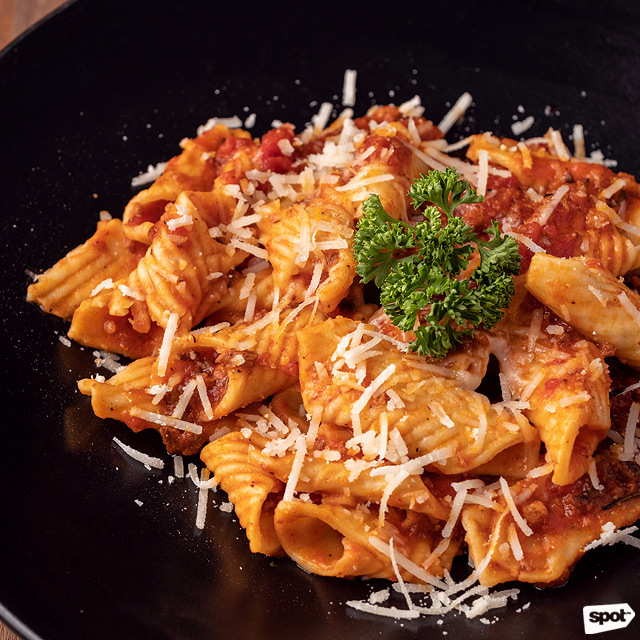 The Garganelli With Duck Ragu (P580) isn't your usual tomato-based pasta, but has none of the gaminess you might expect from duck. 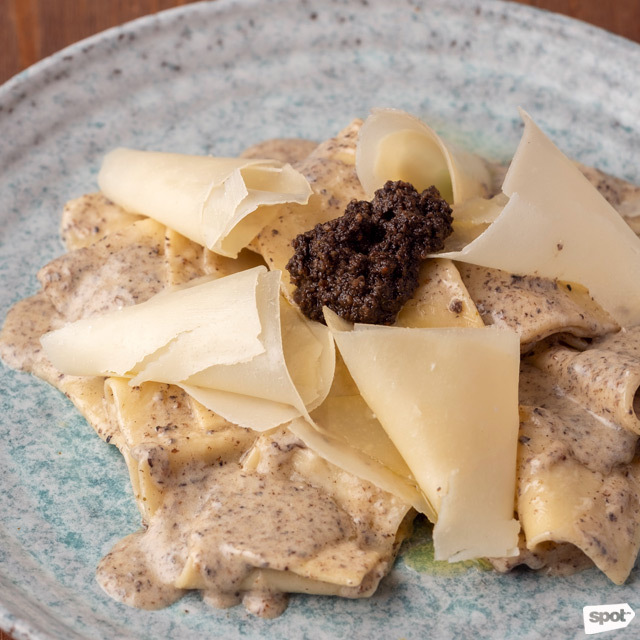 Generous shavings of Parmagiano gives the Truffle Pappardelle a salty bite. 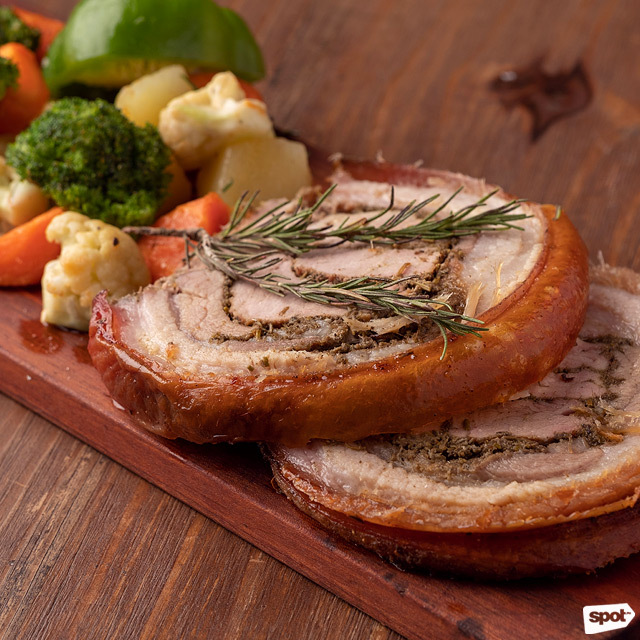 The Porchetta is a feast on a board with roast pork, roast vegetables, and a lipsmacking sauce. The pasta and pizza at Da Gianni are undoubtedly excellent but the Porchetta (P780) could easily steal the show. A wooden tray arrives on your table laden with roasted vegetables and a glistening pork roast that’s marinated in and stuffed with a secret blend of seven different herbs (though we do taste lots of rosemary!) then roasted for three to six hours to give it a crackling, succulent skin and fork-tender pork. Don’t forget to dip your roast in the barbecue sauce with subtle fruity notes. 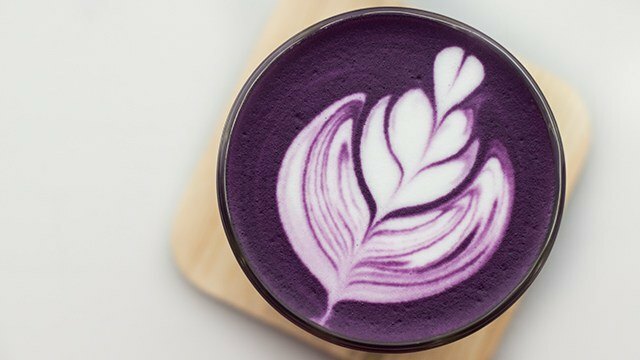 One of the advantages of opening in a quiet part of Alabang is that the regulars seem to know each other and the team—it helps that the owners are very hands-on with their restaurant. “We’re hesitant about opening more branches,” says Abarillo. 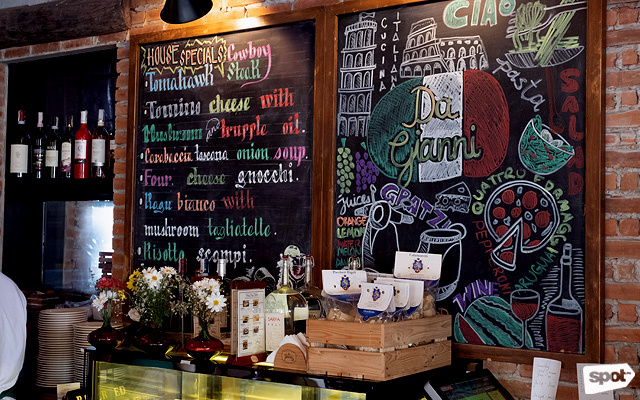 “Because we’re here every day.” With the comfy, laid-back vibe and honest-to-goodness Italian cooking, Da Gianni feels like an Italian home. We'd venture to say Grandpa Gianni would be proud.